The new Mary Queen of Scots film may bring the story of the doomed monarch to the big screen but a number of 16th Century objects held in Scotland’s museums, palaces and libraries tell her story in the purest form. Here we look at 10 items linked to Mary held by National Museum of Scotland, National Library of Scotland and the Palace of Holyrood House. Mary took great pleasure in a magnificent jewellery collection with this 16th Century gold necklace, locket and pendant featuring a miniature of the Queen and her son James. This gorgeous jewel was made for Lady Margaret Douglas, the Regent of Scotland and mother of Lord Darnley, the second husband of Mary Queen of Scots. She was the grandmother of James VI. Royal Collection Trust / � Her Majesty Queen Elizabeth II 2019. This finely decorated mid-16th Century oak cabinet is said to have belonged to Mary. It was imported from France and long preserved by the Hepburns of Smeaton, supporters of the Queen. 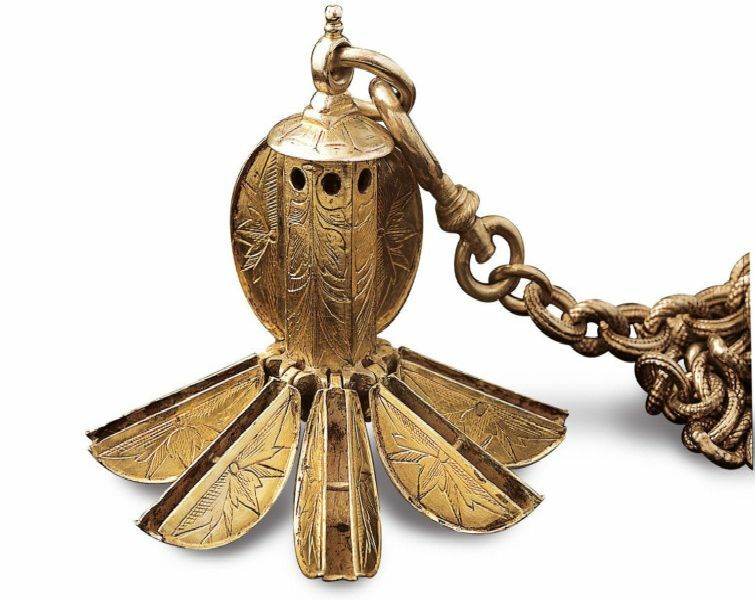 Thispomander is said to have belonged to Mary and would have been filled with fragranced herbs or spices and worn around the neck or belt to fend off noxious smells. It is on show at the Palace of Holyroodhouse.